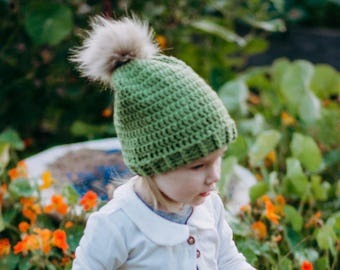 This crocheted hat item is essential for any little girl who loves whimsy. 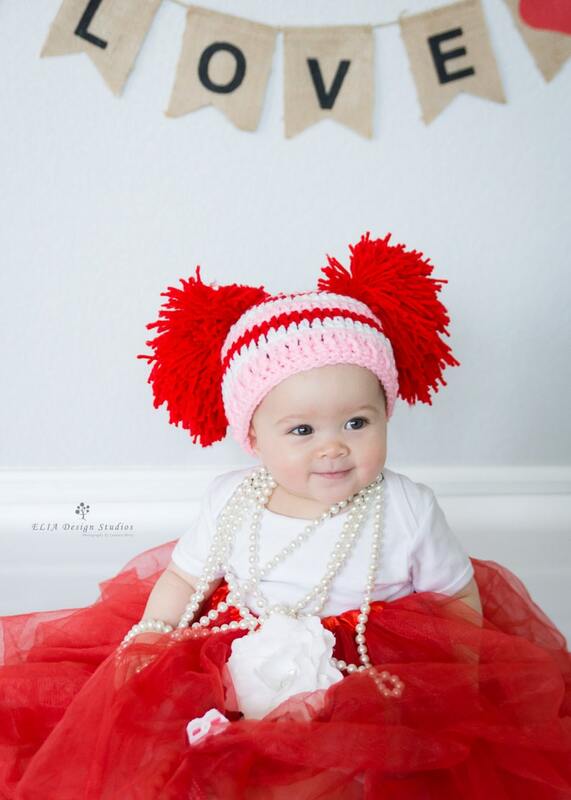 This red, pink and white beanie is accented with large red pom poms. Great for those Valentine's day photo shoots. This item truly is pure fun. Items are made in a smoke free and pet free environment.